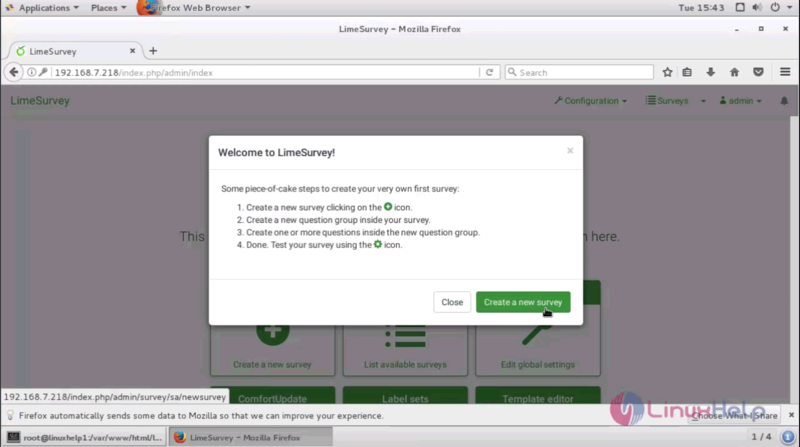 Lime survey is an open source online survey application. It has been widely used by many big industries to create the survey tasks. It has many powerful features like creating dynamic fields for survey. Supports multilingual, defines user roles, user groups and the more it has been integrated into various CMS. 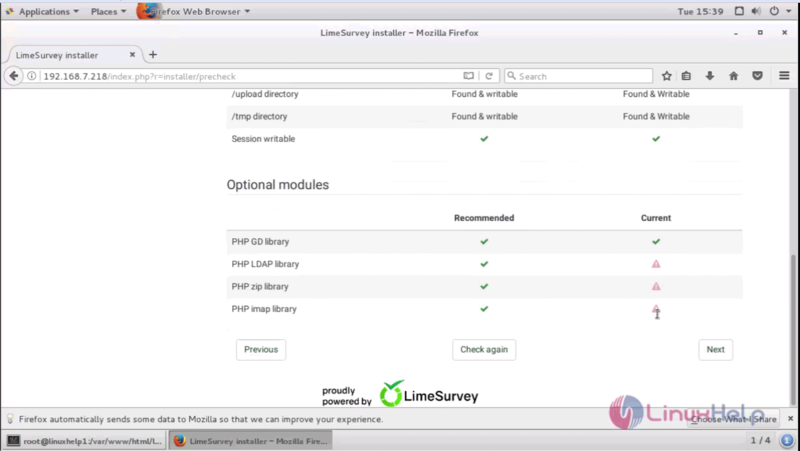 In this tutorial, you will learn the method to install LimeSurvey on CentOS 7. You need to download the package link from the official website. Copy it to your terminal and download it with the wget command. 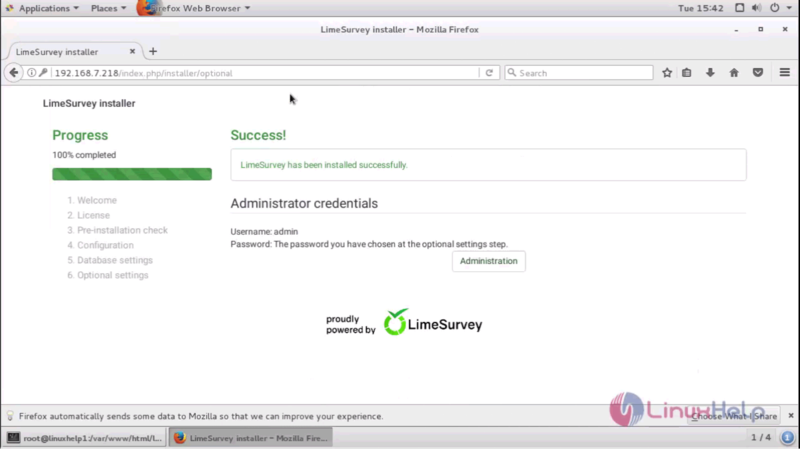 Connecting to download.limesurvey.org (download.limesurvey.org)|78.47.141.76|:80... connected. Once done, extract the package as follows. After extracting, change the owner permission and read-write permissions. Now it is essential to configure Apache VirtualHost. Open the .conf file by running the following command. Once configured, restart your Apache service. Now switch to browser and enter machine ‘ s IP. Here its http://192.168.7.218. The welcome page appears on your screen. 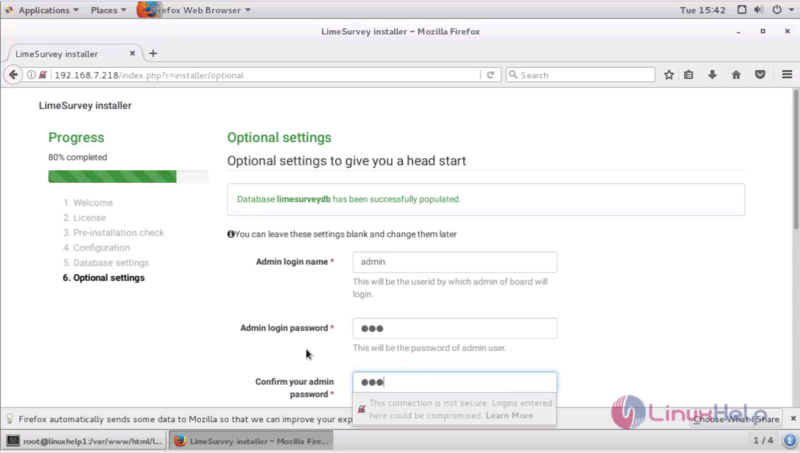 Click on Start Installation. 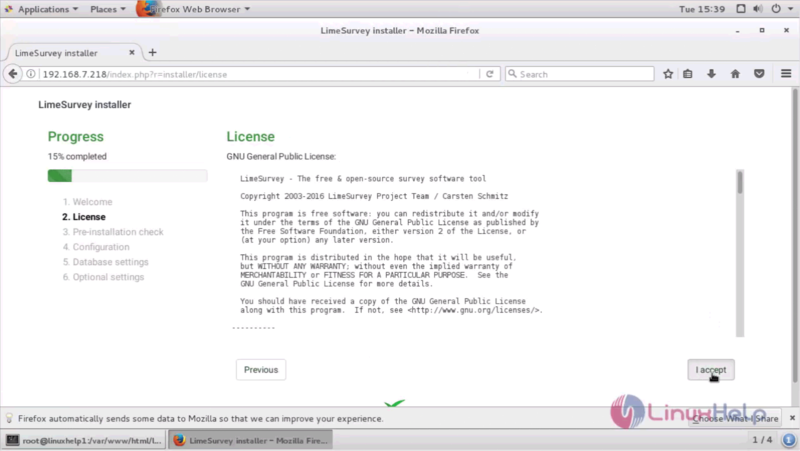 The License page appears on your screen. Click I Accept. 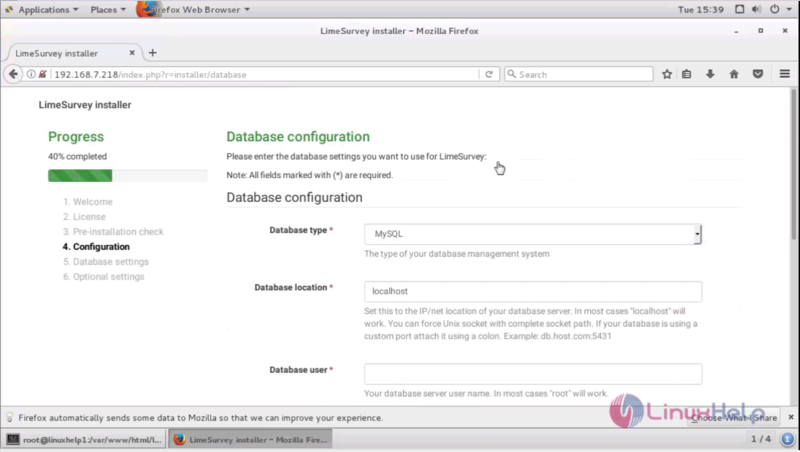 Now, you need to configure the database. Make the necessary configuration. Click Next once done with the page. 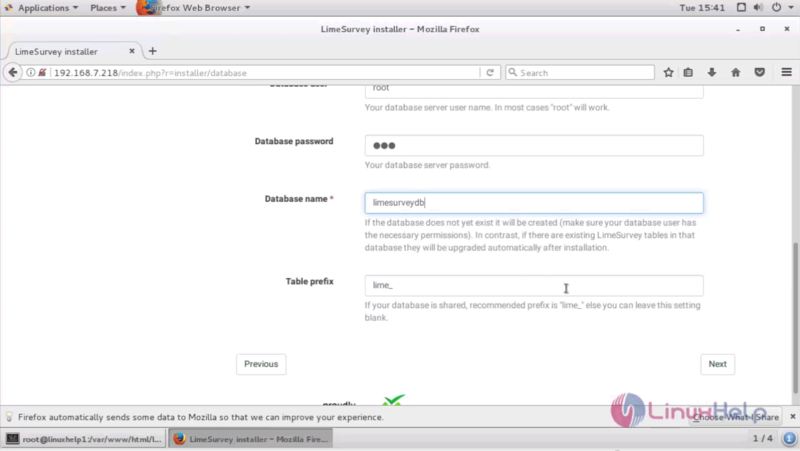 Now, it will ask for Populate database. Click on the button. Optional Settings page appears now. Create all your login credentials. Login with your credentials now. 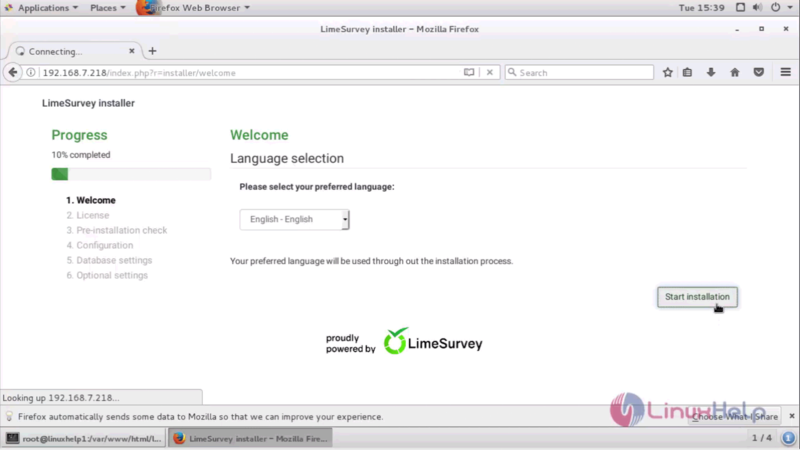 With this the complete installation of LimeSurvey is over. 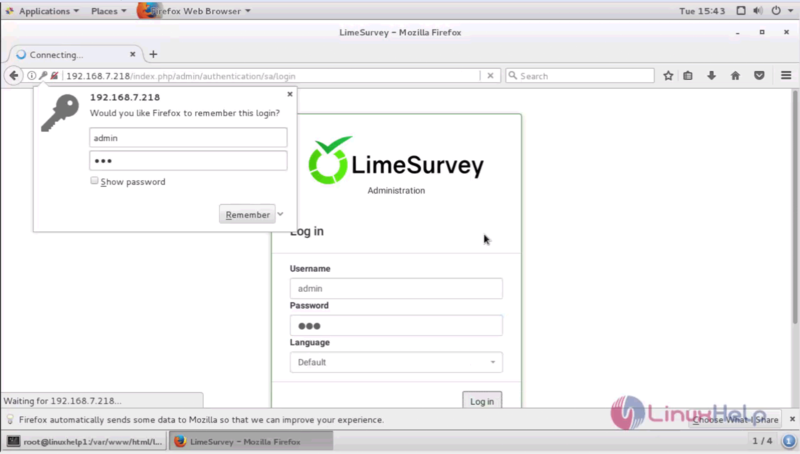 Enjoy working with LimeSurvey. How can I embed a flash file? 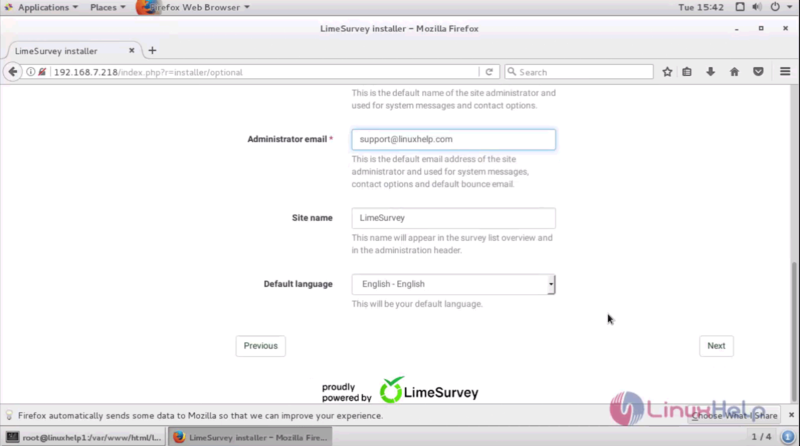 Navigate to the place in your survey where you want insert your Flash file. Open the full-screen editor mode by clicking the 'LimeFitWin' button on the editor tool-bar. On the full-screen editor tool-bar you will find a little button with a Flash symbol. Click on it. A dialog will open. How do I create a survey which is open to everyone? If you are using tokens and a participant fills out the survey, a confirmation email is sent to his/her email address. If you don't want this message to be sent just delete the whole confirmation email subject and message. 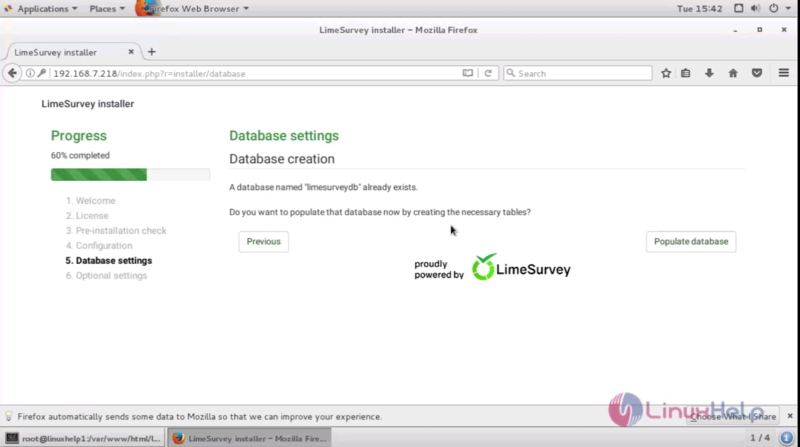 How can I restore data from a deactivated survey? Go to the "Browse responses for this survey" menu. Click at the "Import answers from a deactivated survey table" button.